Founded in 1849, Gilbert & Cole was originally located on Marblehead Harbor. The business moved to the railroad tracks on Bessom Street in 1870. Coal, lumber, and building materials were delivered by railroad until 1959. 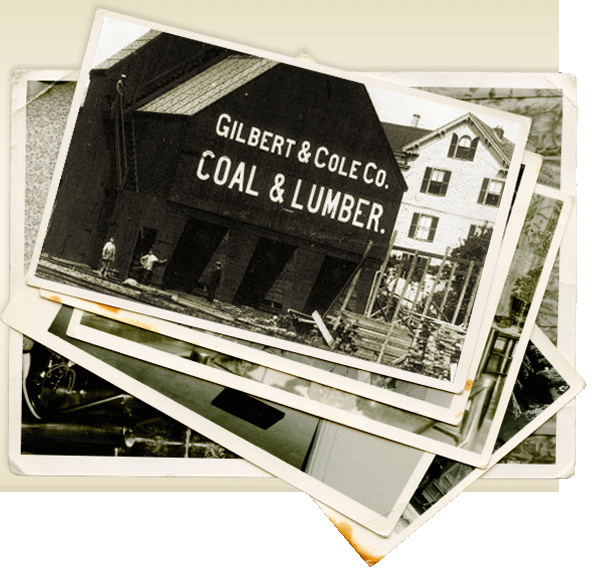 Today, Gilbert & Cole is still located on Bessom Street and continues to supply Marblehead and the North Shore with quality lumber, building materials, and hardware. We would be happy to assist you in all of your building needs, please call for a quote today. Gilbert & Cole Building Products, Inc . 42 Bessom Street . Marblehead, MA 01945 . Phone 781.631.0222 .